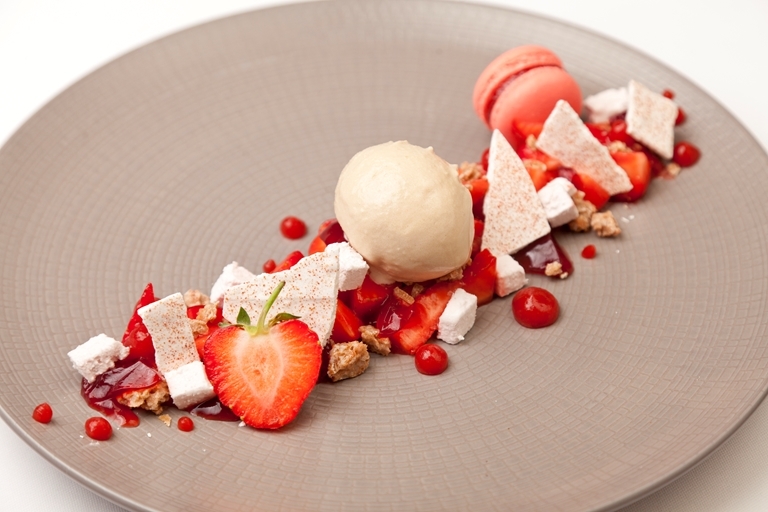 There are a few elements to Matthew Tomkinson's assiette of strawberries recipe and it will take a bit of endeavour and stamina to complete. But the reward is a triumphant strawberry dessert fit for any grand occasion or dinner party. The balsamic ice cream is a revelation, offering a complementary sharpness to flatter the strawberry components.